I started the year with twins. Sitting in the quiet, dark hours with a mother as she feeds one, and then the other. I hold a baby, pat and settle them both. Whisper reassurance into the gloaming. Christmas lights still twinkle outside the window. I doze on the sofa til daybreak. Next an old client tells me she is pregnant again. Oh the joy! I take the secret warmly with me to Sussex on the 5th of January. It makes me smile as I teach a bunch of doulas about supporting mothers to breastfeed. The same week I spend 2 days with local doulas and the wonderful Mia Scotland. We learn how to use the 3-Step Rewind technique to help parents suffering after a traumatic birth. This was a culmination of a couple of years of being inundated with clients feeling huge distress when they remember their birth. It feels like the Rewind is a powerful tool; simple to use and hugely effective. I have had some profound experiences already offering this service to women, using it to help ease painful memories – not just around birth, but also breastfeeding and other traumatic experiences. Like every week since 2008 I buzz off to run the breastfeeding support drop in each Monday. Cambridge Breastfeeding Alliance is a large part of my life. This year we have expanded our team of volunteers, successfully bid for funding and begun outreach work in a group for mothers in a deprived area of town. I am unbelievably proud of us! This year also saw me visiting many mothers in their own home to support them with feeding their babies. 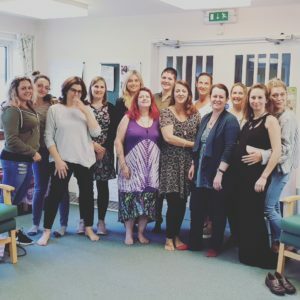 With support services being cut and midwives more and more stretched and unable to deepen their skills, doulas and breastfeeding counsellors are finding ourselves being called on more and more. My first birth client of the year was due the 3rd week of January so, together with my partner doula, I waited patiently for her to go into labour. Two of our local family of doulas were also pregnant at this time. We came together and threw them mother blessings. laughing and nurturing them as they prepared to meet their babies. As in previous years, I continued to volunteer when I could for our local Birth Choices group. The group is a safe space for pregnant parents to come and explore their options and get emotional and informational support. 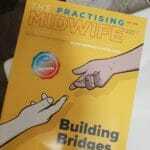 I also continued my role as a member of the editorial board of The Practising Midwife journal. I hope to continue to support the wonderful team to develop their resources on the all4maternity website for midwives and doulas. year since I started teaching the Developing Doulas course, so to celebrate, we gather on the 10th February. In secret gifts were bought – beautiful and thoughtful ones that overwhelmed me with emotion! It was so much fun to spend time with my DD community – food was eaten and lots of gin was consumed! Doulas sure know how to party! 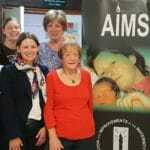 At the end of February I start volunteering for AIMS on the helpline. One too many women have told me stories of having their choices ignored or ridiculed or being coerced and manipulated into doing what they are told. I needed to do something practical to help. The questions we receive on the helpline are many and diverse, but the majority of our answers have to start with a reminder that she, and only she, has the right to decide. In March I dive deep into writing my Doulavation course. I pour in all the things I wish I had time to cover in my doula course and address some of the issues I see so many doulas struggling with. Articles, videos and tasks to work through will, I hope, support doulas to look at where they’ve come from and plan for where they want to go. I am also writing a speech for the Doula UK conference in March. 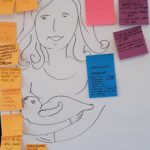 I want to talk, amongst other things, about breastfeeding trauma – I think it is an overlooked issue but one that can cause just as much pain as birth trauma. At the end of March I went to Walton-on-Thames to run a Closing the Bones workshop. I absolutely love passing on this knowledge, honouring where I learned it and entreating those I teach to celebrate the culture that gifts us this ancient skill. 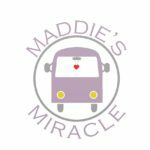 2018 also saw the launch of the charity Maddie’s Miracle Breastfeeding Bus. The brainchild of Zohar, a Developing Doula, the idea grew out of my dream to own a mobile breastfeeding support vehicle. We are setting up as a charity and looking for volunteers. Learn more and donate here. April came round and with it, another Developing Doulas group and another Closing the Bones workshop in Brighton. I also got more involved with Cambridge refugee support, beginning to offer time to support the pregnant women in that community. I supported one refugee mother this year and was both dismayed at the way she was treated by the NHS and hugely impressed at one midwife’s care of her in labour. This year I also started an involvement with Haverhill Breastfeeding Friends, a mother-led support group in a local town that has been bereft of lactation support for a long time. Together with 2 other breastfeeding counsellors, we make sure the weekly group has a counsellor present to support the mothers through their breastfeeding journeys. In May I had my first tattoo. It is something I have wanted to do for years, but I have been waiting for the right person, the right circumstances and the right image to etch itself into my body. This year the stars aligned and the image I have sketched over and over took shape and finally took residence on my foot. The end of May and the beginning of June saw the annual doula retreat. My time to refuel and zone out completely in the wilds of Wales. That magical place fills my cup like nowhere else! 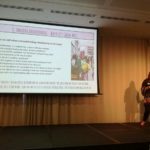 June saw the ABM conference – a chance to catch up with my breastfeeding community and reignite the passion. 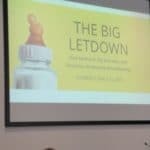 Particular mention has to go to Kimberley Sears Allers and her book The Big Let Down. It was fascinating hearing her talk about black woman and breastfeeding and the particular challenges they face. 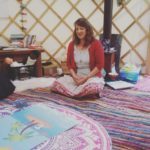 And then it was time for the June Developing Doulas course, this time in the yurt in the garden of my gorgeous friend Paula Cleary, in Norfolk. What a beautiful, sunny few days! 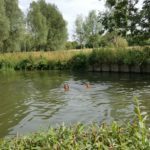 The summer sped by, with river swimming, a trip to Portugal and beginning the process of bringing my next Developing Doulas facilitator into the fold. Sophie will hopefully be joining me, Zara and Zoe in 2019. 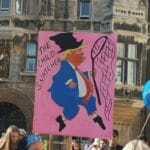 The summer also saw a lot of tent-sleeping, an anti-trump demo and lots of reading. A whole host of great birthy and breastfeeding books came out this year – check out Pinter and Martin for some of the best. 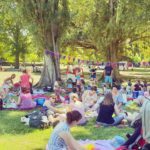 We also had our annual Cambridgeshire doulas picnic and it was the best attended yet! September came and saw my next Closing the Bones workshop in Ashford and the 4th Developing Doulas group of the year. I also went to Birmingham for a couple of days for the AIMS AGM and did a fascinating workshop on consent in maternity care with Emma Ashworth. 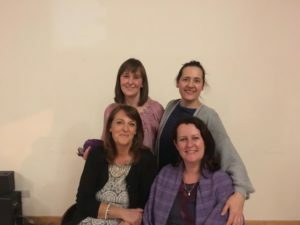 I am hoping to be able to offer a similar workshop to doulas in 2019. October started with teaching my Breastfeeding workshop and Tongue Tie workshops here in Cambridge. I also taught these workshops in November in Manchester, where I got to stay with my good friend and colleague Nikki Mather. I also had the pleasure of visiting my lovely friend Kicki Hansard of Birth Bliss Academy for one of her famous Facebook Live events. You can watch an extract here where I demonstrate the famous oil and water demo that explains how breastfeeding works. Towards the end of October I was delighted to attend a doula-sister’s wedding. What a wonderful way to support my local doula community! 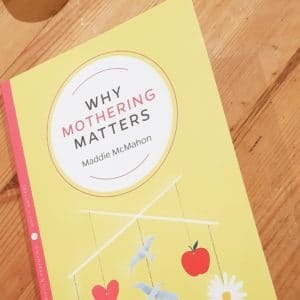 And soon after was a trip to London for the launch of my book, Why Mothering Matters. 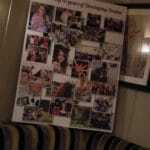 Thank you to Pinter&Martin for all your support to get the book written and published. It is my hymn to all mothers everywhere. If you read it, please leave me a review! November brought the final Developing Doulas group of the year and I also had the pleasure of visiting Anglia Ruskin University in Chelmsford to lecture the Masters in Midwifery students on the role of the doula. I was also fortunate enough to meet and spend some time with the new CEO of Birthrights. I know she is going to do a wonderful job at the helm of this important charity. This year also saw me decide once and for all to address my IBS, which was beginning to really get me down. Support from a herbalist and a new, low carb diet appears to have worked wonders, with the side effect being a weight loss of 2 and a half stone. Changing shape causes all kinds of feminist musings on body image and has increased my interest in how we support mothers to honour their changing body during and after pregnancy. December brought the last birth of the year, bring the total to 9. I also recognised 2 doula mentees and popped in on the local maternity ward to take the midwives a festive gift of cake. Christmas meant being on call, but thanks for my lovely doula friend offering me back up, I managed to grab Christmas Eve and Christmas day off call to enjoy with my family. Despite being very bah-humbug about Christmas, it was precious this year to have my children around me, as this year has seen my first born leaving home for university. So here I am looking forward to 2019, wondering what it will bring. Of course I’m planning, but I don’t micro-manage. I love the way a doula year just evolves organically, how new passions and interests develop and new opportunities and adventures present themselves. However your year has blossomed, and whatever you hope to achieve next year, I send you doula blessings. 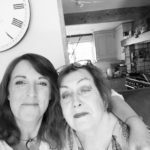 I have to finish by saying that of all the wonders that doulaing has brought me over the years, the best and most profoundly effecting has been friendship. I was just zipping through my photos to choose a few for this post when there was a knock at the door. It was my friend Becky with a homemade low carb chocolate cheesecake. This is the same doula who bundled me into her car a couple of months ago and took me to see my most favourite doula ever, my mentor and doula-mother, Linda Quinn. Now that, dear friends, is doula love personified! This article isn’t to blow my own trumpet, but to acknowledge the wonderful adventures I’ve had this year, all of which would never have been possible without the incredible community of women I belong to. However you’ve been part of my life this year, I love you, salute you and hope that 2019 brings you everything you are wishing for. And to the women I’ve supported who 2018 has been cruel to, I am sending you love and hope for a better year next year. January is a time to turn a page and start a new chapter in our life-story. I hope you get to write your own tales of love and joy in 2019. 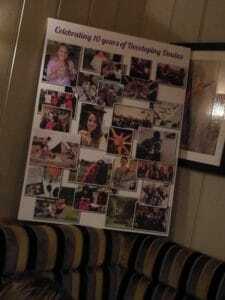 Maddie, you are truly amazing and a huge inspiration. I can’t believe how much you fitted into one year. 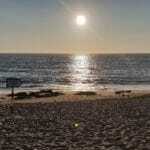 Hope to catch up with you at the doula retreat.